After giving us a brief teaser, Royal Enfield has finally launched the Bullet Trials 500 at Rs 2.07 lakh (ex-showroom, India). This makes it Rs 5,700 more expensive than the Classic 500. While it’s based on the Bullet 500, Royal Enfield has equipped it with some off-road bits to make it a proper go-anywhere motorcycle. This includes dual-purpose tyres, an upswept exhaust system and more! However, powering it will be the same 499cc, single-cylinder engine that churns out 27.5PS of power and 41.3Nm of torque. Want to know more? Head here for more details. Royal Enfield Bullet Trials 500 prices start at Rs. 2.07 lakh (Ex-Showroom). Royal Enfield Bullet Trials 500 is available in 1 variants and 1 colours. The claimed ARAI mileage for the Royal Enfield Bullet Trials 500 petrol is 40 kmpl. 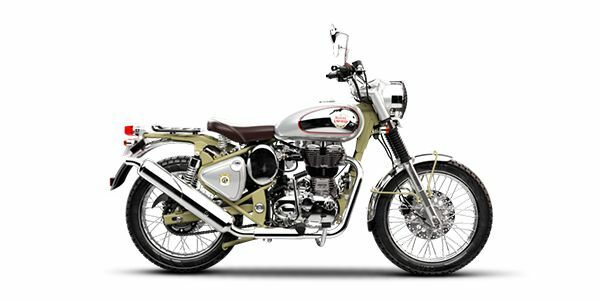 Just how different are these two off-road-biased motorcycles from Royal Enfield?